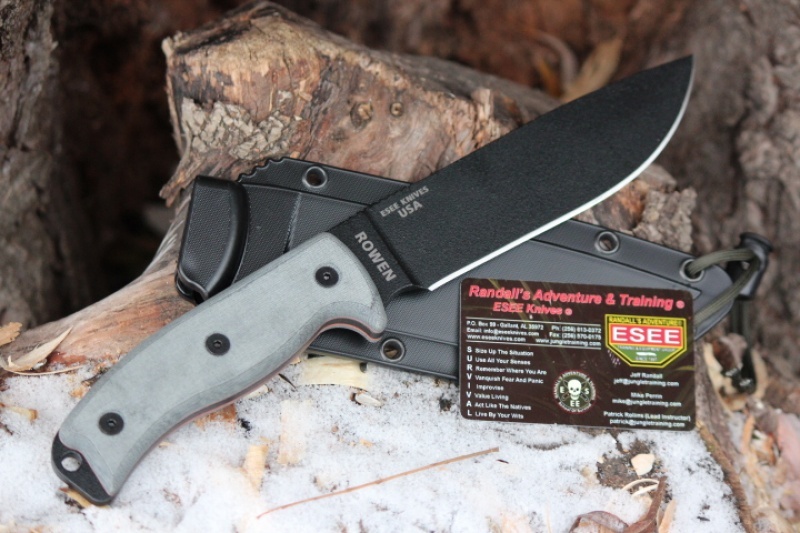 ESEE Knives 6 PB Black blade with grey micarta slabs, red liners and black sheath. One of Esee's best knives this, the 6 is very well balanced and solidly made larger outdoor knife its superb balance made this larger knife great to use and its longer blade length and weight make for a versitile and capable outdoor tool. 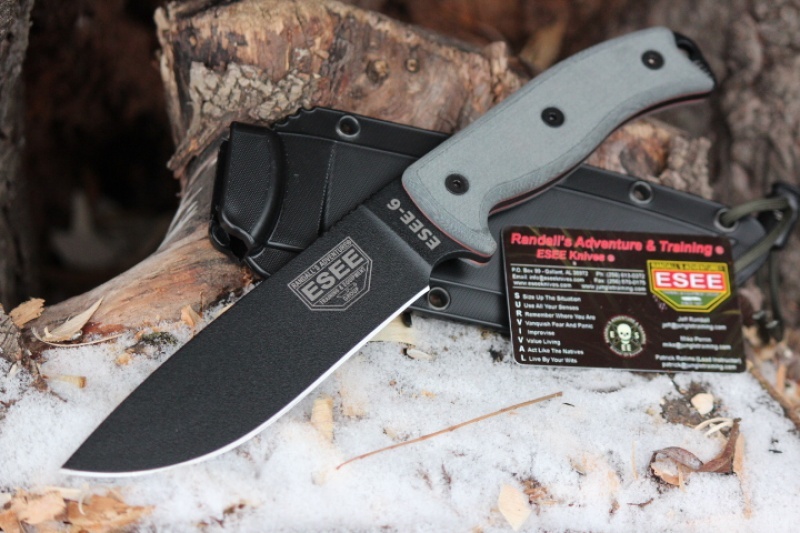 Made in the USA, great warranty from ESEE. Our knives are made from high carbon 1095 steel. And while 1095 is a top choice for professional cutlery designed for hard use, it will rust and stain if not properly cared for - especially on the cutting edge and around the laser engraving. It is the user's responsibility to keep the blades properly lubricated and cleaned. 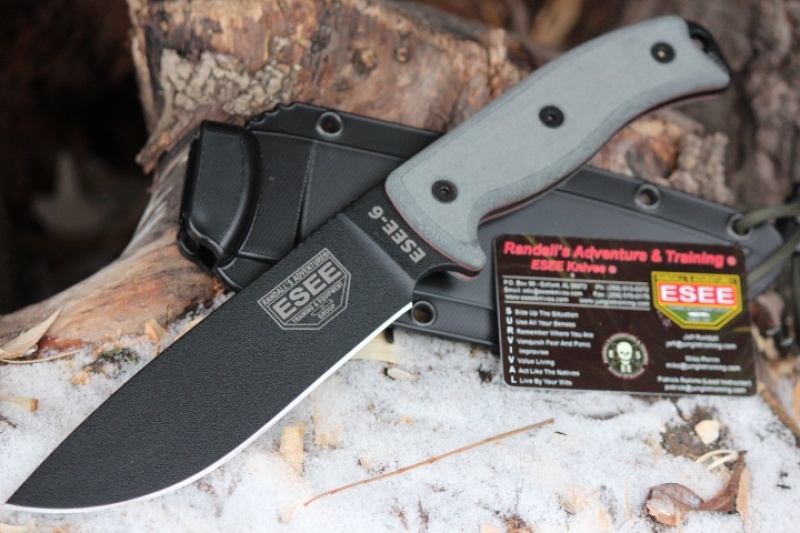 Purchase through PayPal by using the "Add To Cart" button above or use the form below to order the Esee Knives 6PB . Feel free to contact us if you have any questions about the Esee Knives 6PB .